The group feels that it’s a good idea because it solves more problems than just expensive housing. First, it helps transform brownfields into something functional. Second, it would take away a large structural cost, since the main foundation to the home is built. The remaining costs would be the interior, such as appliances, HVAC, and electrical. This reduces the cost that both the developer and the buyer would need to bring forward. In addition to old buildings, another pre-existing structure that can be used are shipping containers. Recently, a lot of people have been building their shipping container houses in order to save money on building costs as well as utility bills. This helps reduce the number of unused containers, while also decreasing costs to the homeowner, who again only has to pay for the interior remodeling. The group feels that building a development near transportation lines is a good idea because it reduces costs elsewhere in the homeowners life. It would benefit not only the owner, but would also benefit the companies that they work for. Being close to transportation would allow them to easily get to work. This would make housing more affordable in the sense that other expenses in the homeowners life would be decreased. Cars cost a lot of money both for maintenance and gas, so not needing to rely on one would leave more money in the budget for a home. Additionally, the developer would be able to eliminate substantial parking. This can increase the number of properties that can be built, ultimately increasing the density of the housing development. The group feels that this is a good idea because it can help solve problems that could potentially arise from neighborhoods with only affordable housing. These neighborhoods tend to be lower income, therefore the schooling is also not as great as some of the schools in suburbs. This is unfortunately a common problem, which is why integrating the affordable housing into all neighborhoods can help mix the socioeconomic statuses, and allow everyone to benefit from the better schooling and environments. This would help prevent these areas from becoming some place that people try to avoid. This plays more into circulating resources to everyone in the community, since there will be more interactions among different people. This can help spread ideas, knowledge, and even job prospects. It allows equal opportunity, regardless of your income. This can provide further payoffs in the future, and certainly allow more people to rise above their current income level. Which is considered the best idea? 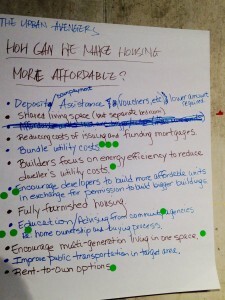 The group considers the first idea, remodeling pre-existing structures, the best idea for making housing more affordable. The idea solves more than just a housing problem, and saving money on the main structure and foundation work will cut a lot out of the overall budget. It helps more people afford housing, while also turning a previous brownfield into a functioning site that plays into the community. This idea helps not only the homeowners, but the other community members also benefit, and it is for that reason that it is thought to be the group’s best idea. 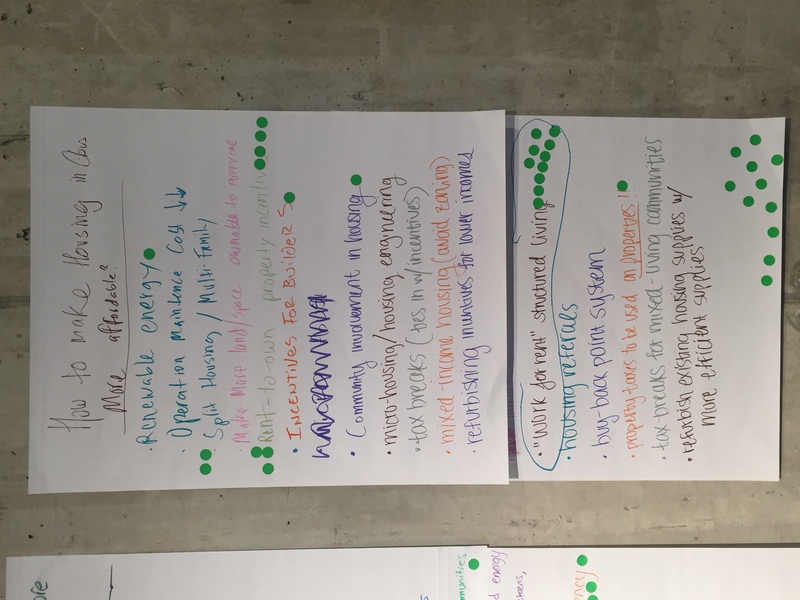 Our top three ideas were, owner-tenant multifaceted agreement, tax breaks and benefits for paying rent on time, and to promote energy efficiency and lower utility costs through tax benefits for insulating your home. Tax benefits for insulating your home would make housing more affordable in more ways than one. For starters, the insulation in itself would help to save money on utilities by allowing the homeowner to use their heating and air conditioning less. To add tax benefits to would give even more saving to the homeowner making them it easier to pay for their mortgage or any other bills. Giving tax breaks to renters who pay their rent on time would provide an excellent incentive for the renters to save some money. It would also help out the landlord with more people trying their best to pay their rent on time. This idea would promote good money management for renters as well. 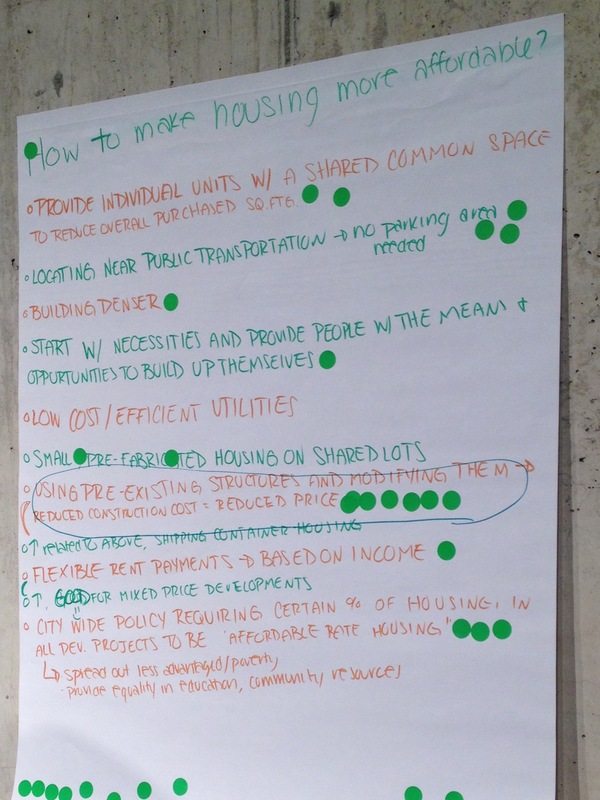 Our team agreed that the best idea to make housing more affordable was an owner-tenant multi-faceted agreement. There are a number of different options in which this agreement could work. One example would be a homeowner or landlord hiring one of his tenants as a plumber to work on his properties for a reduction on their lease. This idea would allow any person with any type of skilled trade or training to afford housing. 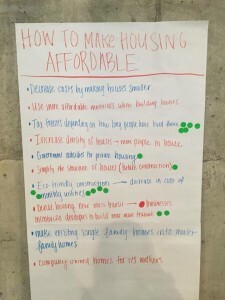 How can we make housing more affordable? Bundling utility costs are usually restricted to a rental property, such as high-volume-unit apartment buildings in metropolitan areas which are turning to utility bundling to attract tenants. In bundling, there is one fixed price for certain utilities (usually water, sewage, trash) and then the price for remaining utilities such as electric or gas (usually just electric) is based on usage, but is combined with the amount of the fixed price utilities and paid by tenant directly to the rental property as one amount rather than paying all utility companies separately. By bundling utility costs the separate bills are less daunting and usually much more cost effective. This makes it easier for the person who pays the bills to take care of this task, saving both time and money. 2) Encourage developers to build more affordable units in exchange for permission to build bigger buildings. Larger buildings allow for more units, the more units in a building, the lower the costs and the more space the developers can sell. The residents share the costs of building materials and space equally. There is not the same outside space as a single-family home that requires it’s own costs to maintain. If the affordable housing is mixed use, including poor and middle class residents it will create a safer culture and allow the building to thrive, keeping prices low for the occupants. 3) Education/advising from community agencies regarding home ownership and the buying process. Communities need to offer more free housing education services accessible to people who are new to home buying, people in low-income neighborhoods, and in neighborhoods where home rejuvenation is occurring and/or desired. This service could be provided by community agencies and/or community centers. Many times parents of potential residents living in these areas may not have ever owned a home or discussed with their children all aspects of home ownership. Because this knowledge was never handed down, there is a lack of knowledge for many in the new generations of home buyers to know the process of home buying/ownership experience. If people do not understand the process and long term results or consequences when purchasing a home, it can have catastrophic effects on the homebuyer and the neighborhood. Equally, there are many benefits to owning a home (tax breaks, investment strategies, etc.) that often are not taken advantage of by new homeowners simply for lack of knowledge. We believe that out of our three ideas educating people is the best option. This initiative will create an everlasting impact on the people it educates and their children. Given this knowledge, people can make informed decisions about housing, which will lead to better quality of life, better neighborhoods and greater opportunities for success. 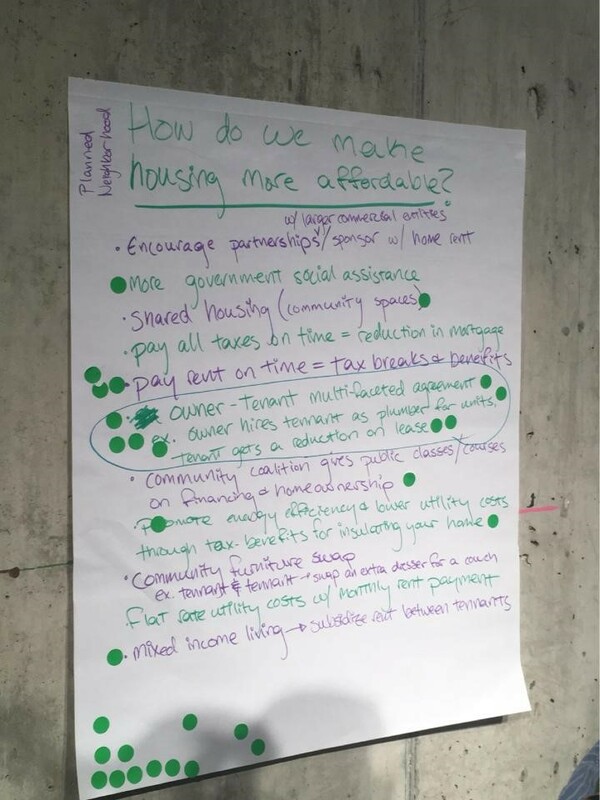 The group sat down for a brainstorm, examining and addressing an issue plaguing numerous low income families in America, affordable housing. 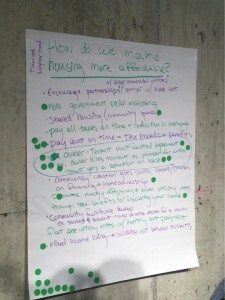 The question the group had to ask each other was how can one make housing much more affordable so that everyone would be presented with the opportunity to be homeowners themselves. After the ideas presented by the group, three were decided upon as the best as voted by our peers in the class and ourselves. Among one of our most popular ideas were providing incentives for contractors and developers to drive down costs and build these smaller, more affordable homes. Housing is an expensive ordeal to fully build and furnish, and building smaller, more affordable homes, generally is not as desirable for a construction business due to the lower profit margin generally associated with them. Offering these incentives for a business to build affordable housing options into their projects is an important enticement that would hopefully increase the number of affordable homes for the people. Another option including and favored by our group was community involvement into these homes that would help with maintenance. Not only are homes and mortgages expensive, maintenance and general upkeep can be an additional and frustrated cost that can be diminutive at first but ultimately rack up larger bills. Teaching community involvement in helping neighbors where they can possibly help in house maintenance tasks. Additional ideas include community gardens that can help reduce overall food costs as well as increase an overall quality of life in the neighborhood. 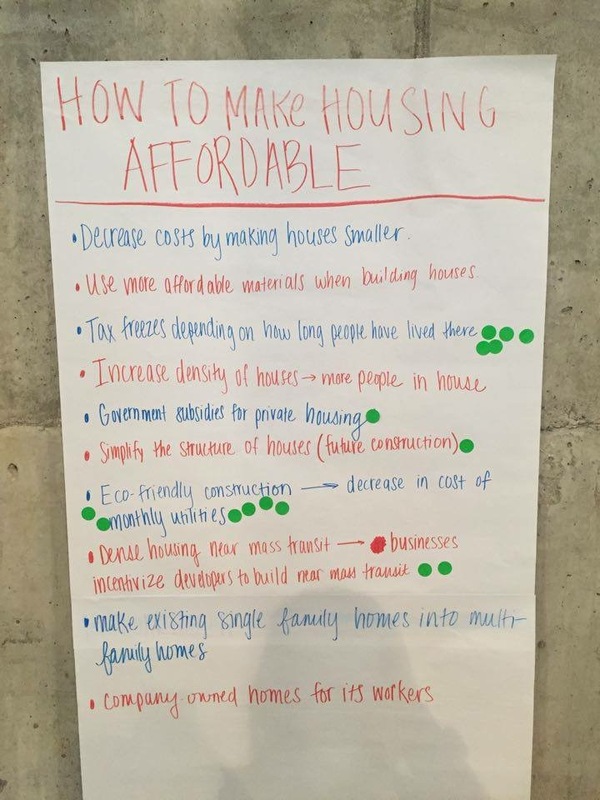 These are all simpler ideas to help reduce costs of general home costs for more affordable housing. 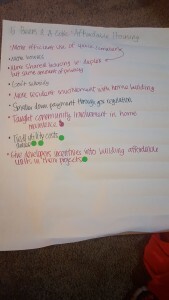 As voted upon by our peers in the class, and one of the groups personal favorite ideas, was the idea of shared utility costs in the neighborhoods. These tied utility bills would hypothetically drive their overall prices down for the homes. Shared costs of these bills would help lower homes and their overall expense down as the bills are tied together. These driven down costs ultimately make it more readily available to own a home as it is a less expected expense on the overall home for these families. Ultimately this idea was settled upon in the group as what we felt our strongest idea was with less worries than others, as well was well received by the class in itself during the voting. Work for rent– Work for rent is a concept where people who do not have enough funds to make a down payment for housing can go to a complex and work for the renters to pay for their rent. A large portion of rent paid goes to cover the owner of a building’s cost to run the complex, so if there are programs where people who need help paying rent can work on landscape, maintenance, cleaning, etc. in exchange for rent or as a way to reduce their monthly payment. This can help keep low income buildings well maintained, nice to live in, and affordable for a lot more people. If the people who live in a place also work to make it nicer, than the amount of care that goes into the work will show in the end result. This confronts the unfair way that cheap housing is in near disrepair, and how the slumlords can charge more rent than it should be because of a lack of better options. This strategy would be a lot more effective if the government incentivized programs such as this to attract the owners of buildings in areas that need it. Rent to own– Renting to own allows people to build some equity when they pay rent. When people are using half their incomes on their rent then their money is essentially lost to the renters. So, if there was some program incentivized by the government for people who pay rent on time, have been good tenants, and have stayed in a place for a prolonged time to be able to build up equity in the property that they live in. Over time, part of their rent every month will build up in equity, and if they want they can take out a mortgage to buy the place, but the equity that they have built up will go towards the down payment or directly to pay off some of the mortgage. Split housing– If there were a lot of multi-family housing units developed in existing structures that are in disrepair using the rent-to-own and work-for-rent concepts discussed above, then many of the low income housing problems can be addressed. 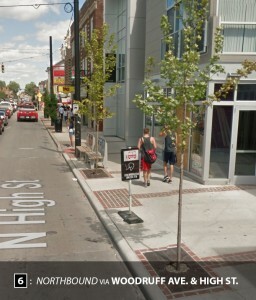 Many existing structures in Columbus could be great places to live, and if communities that are affordable and promote care for housing are set up then they could be brought back to their intended potential and the slow decay of low income housing could stop and maybe one day, they will just be regular housing and everyone will have the opportunity to live in an affordable nice place. Our team decided that the most effective strategy would be the work for rent program. 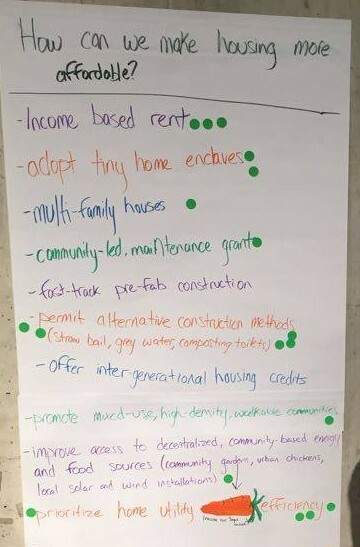 We believe this because of all of the ideas listed above, the work for rent program would be the easiest to implement and would have a positive outcome on the community immediately. 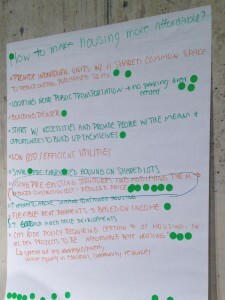 Out of our ten different ideas to make housing more affordable, the three chosen most by the class were putting tax freezes on certain residents, depending on how long they’ve lived there, building with more eco-friendly materials, which will decrease the cost of monthly utilities, and allowing businesses or corporations to incentivize developers to build dense housing near mass transit. A tax freeze means the tax rate does not increase for people who have lived in their homes for a long time. It helps prevent gentrification by making sure people who have lived in their neighborhoods do not need to worry about the area becoming too expensive to live in when new people move in. Take Brooklyn, New York for example. This area, for a long time, was a cheap place to live that was very close to downtown and midtown Manhattan. However, because of its cheap prices and proximity to Manhattan, many people purchased land and changed it causing gentrification and forcing people who could not afford to live in the neighborhoods to move out. If there were more tax freezes, people would have been able to afford to live in their neighborhoods plus all the new public goods that came with new residents. 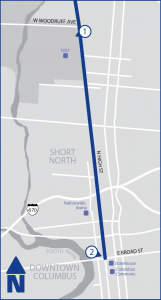 Allowing businesses to give money to housing developments near mass transit will allow residents living there a reliable and relatively cheap mode of transportation. Because of this, business owners can more reliably know their workers will be able to get to work, giving them more reliable workers that regularly come to work on time, which gives them the incentive to pay for housing near mass transit. This practice makes these houses available to low income families. Additionally, these families will have a cost efficient way to get to work, lowering the cost of their daily commute. Finally, our group’s favorite solution is to use more eco-friendly materials in construction. By doing so, the cost of utilities and the environmental impact will decrease. For example, using energy efficient windows will keep heat and air conditioning in, creating a more stable environment in which the amount of energy used to heat and cool the house will decrease, lowering the cost of utilities. Energy efficient appliances like lightbulbs, refrigerators, dishwashers, and air conditioners can also be installed to save on monthly costs. Other sustainable practices include using recycled building materials such as engineered lumber, fly ash concrete, steel, tile, or cotton insulation. Metal roofs can save on energy, collect rainwater, and can lower homeowners insurance. Landscaping around the house can be strategically chosen and placed to provide shading, cooling, and protection from wind and noise. While all of these eco-friendly practices make housing more affordable in the long run, they also improve occupant health, comfort, productivity, and reduce pollution and landfill waste. 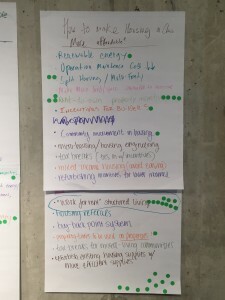 Our top 3 ideas were income based rent, alternative construction methods and home utility efficiency. Income based rent is a good idea because it helps those of lower salary afford adequate housing, and gives them the opportunity for socioeconomic growth. This way residents are not spending the majo rity of their income on housing, but for furthering themselves in society. Alternative construction methods keep building costs low, and in turn, allows for the homes to cost less. An example of this is straw-bale. Straw-bale is very affordable and a great insulation source; keeping people warm for less. Methods such as grey water lets residents reuse water, decreasing their total water consumption on their monthly bill. Composting toilets help eliminate waste and users receive fertilizer at no cost. By prioritizing home efficiency, residents can save money monthly. This can be through the use of energy-saver light bulbs, proper insulation and high-efficiency appliances. In the long-run, these products show their value on the utility bill. 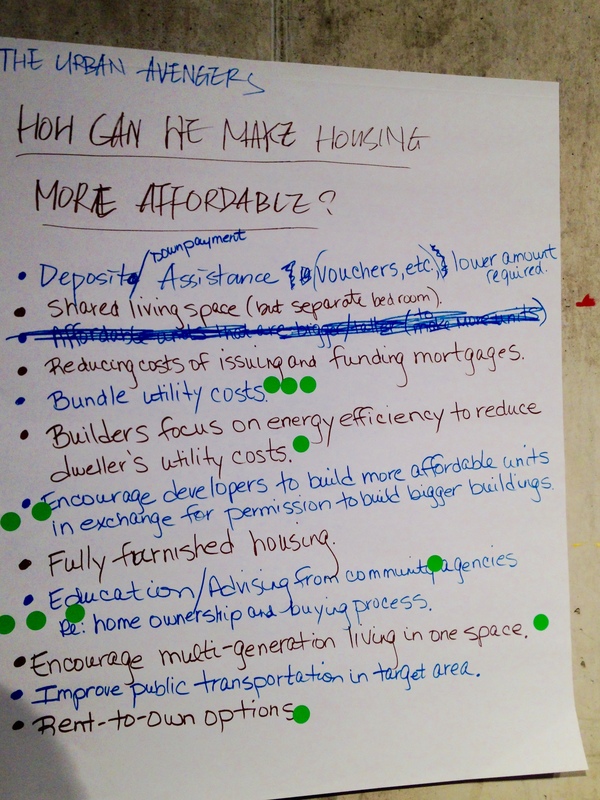 We would consider the best idea for making housing more affordable is alternative construction methods. We think this because it decreases the cost of a home upfront. This makes home-owning easier for those who don’t have the financial capability of depositing large sums of money at once for a down-payment. Since the homes cost less it also decreases the monthly mortgage payment, allowing home-owners to spend less of their monthly income on housing. 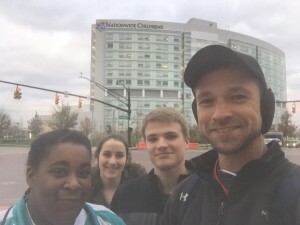 The New Kids on the Block chose to go to Nationwide Children’s Hospital located off of Livingston Avenue and Parsons Avenue on the east side of Columbus. Our transit audit started at 18th Avenue and High Street. 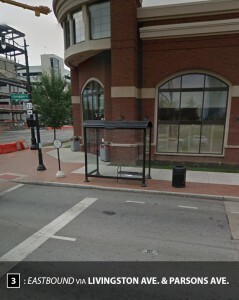 This stop was clean for the most part and had trash cans around. However, there weren’t any places to sit or any shelter if there happened to be inclement weather. 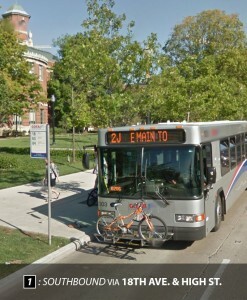 We caught the number two bus at 3:43 PM, which was one minute late from its scheduled arrival time of 3:42 PM. While getting on the, the first thing we noticed was that the bus the driver wasn’t too polite to Casey because her Buck ID wasn’t working correctly. As we sat down we noticed there weren’t any bad smells and there were plenty of open seats for our entire group. Overall bus number two going southbound on High Street from Woodruff Avenue was, quiet, warm, clean, and other than a slight situation with a Buck ID the ride went smoothly. 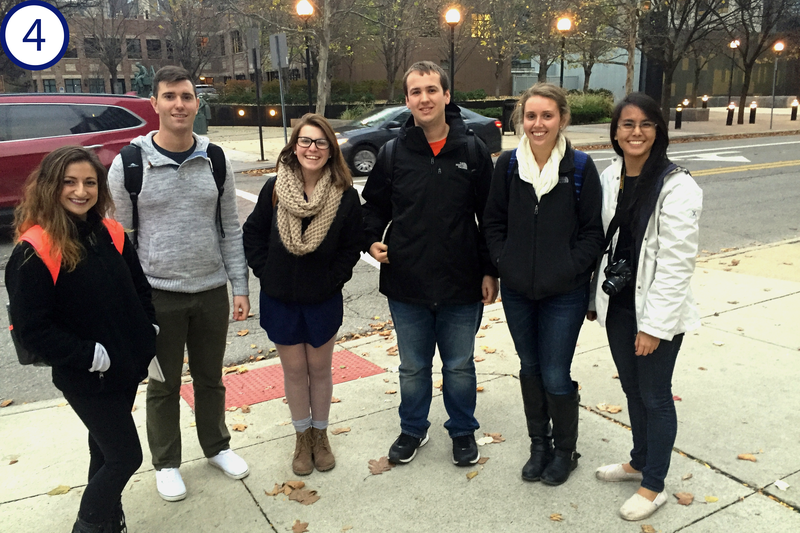 Before transitioning to our next bus, the number one, our experience during the next stop wasn’t as nice. 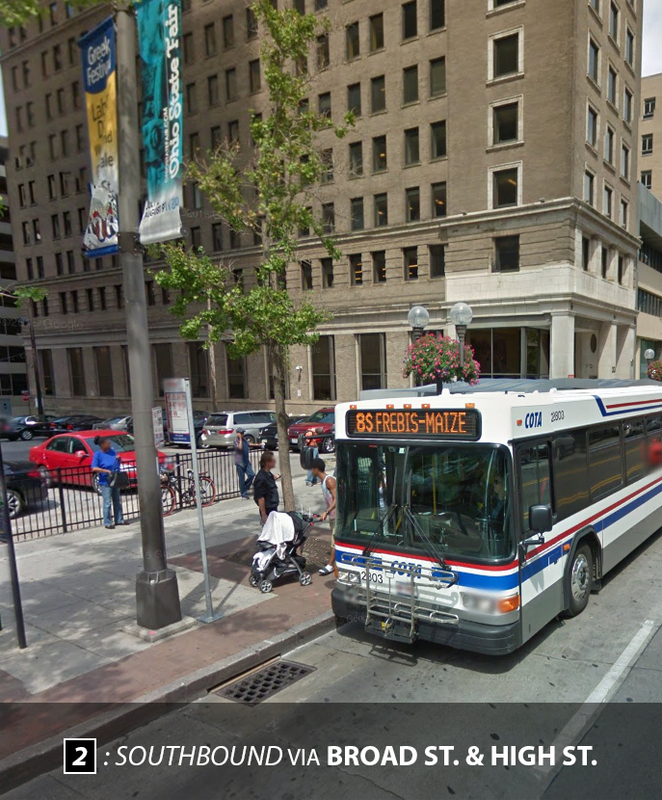 Our stop at Broad Street and High Street was very crowded. There was hardly any room in the shelter for all of us. It was very windy that day, the 12th of November, and we all wanted to get under the shelter to block the wind. 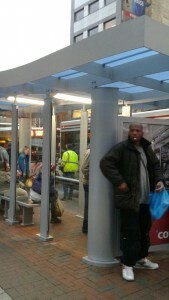 While we were inside the shelter, a homeless man and woman approached us for money before we got on the number one. Unlike the stop before, this stop had information posted inside the shelters. 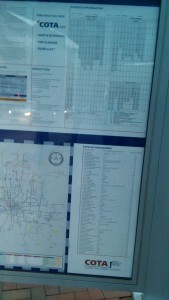 The information included a map of the transit stops as well as bus fair, times, popular destinations, etc. Bus number one, our second bus, arrived at 4:05 PM. This was perfectly on time. The driver was very polite, but this bus experience was very different than the previous one. People on the bus were less hygienic and the bus was more crowded. Also, there was a man singing the entire trip to Nationwide Children’s Hospital. Due to the over crowdedness people were forced to stand until the next stop. Right before we arrived to our destination, the bus driver slammed on his brakes for no apparent reason. Which left a few people uneasy. 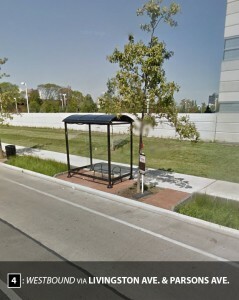 After reaching our destination at Nationwide Children’s Hospital we then stood under the shelter of our next stop for around 5 minutes until our next bus, the number one, going west arrived at 4:30 PM. However, the bus didn’t arrive until 4:31PM which was one minute later than scheduled arrival time. Entering the bus, the first thing noticed was how polite the bus driver was. We all then sat down because there were plenty of open seats and also saw that nobody else was standing. After standing outside in high wind and cold 40 degree weather, we noticed that the heat was on and working well inside the bus and warmed us all back up. 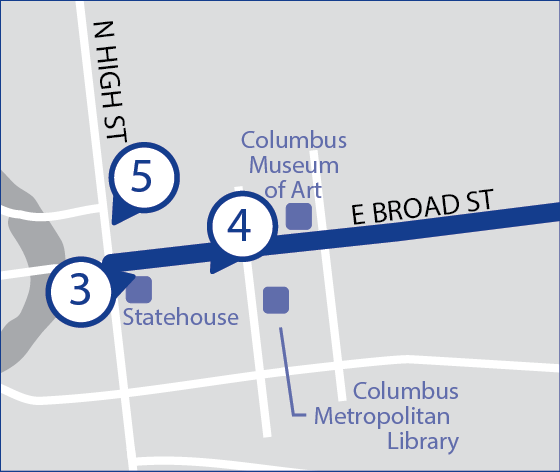 We then headed aback towards downtown for our next stop at Broad Street and High Street, which was in front of Columbus Statehouse. 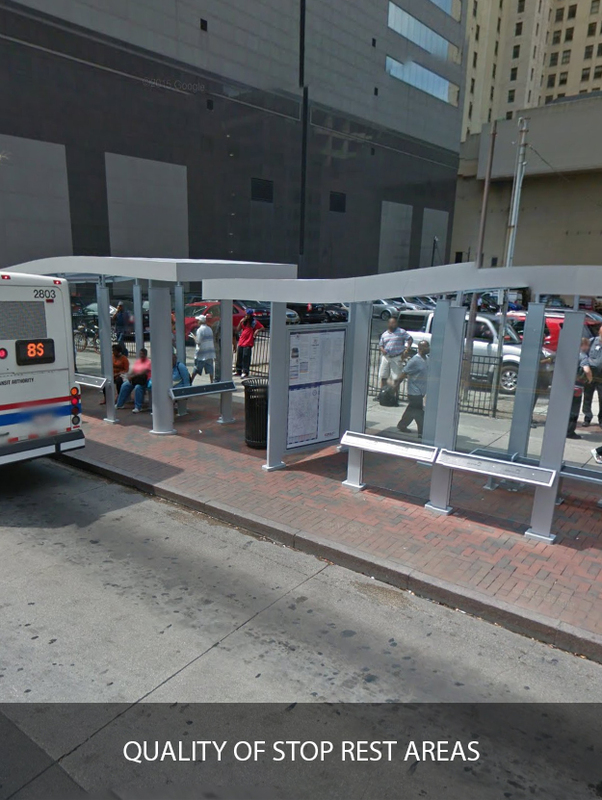 After getting off the number one bus going northbound, we initially noticed this area was nicer than the other stops. 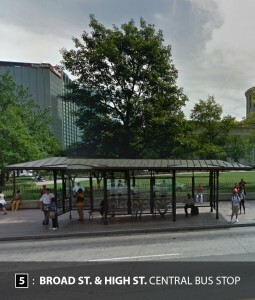 The stop had a much larger shelter than the other stops. However, it was also much more crowded than the other stops which caused us not to be able to sit under the shelter. 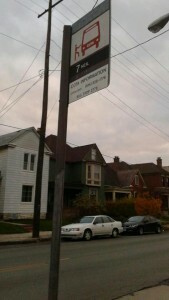 While at this stop, one of our group members was approached by a woman to sign a petition, which is a slight annoyance. When our last bus, the number two, arrived at 4:48 PM there were three buses already at the stop. Even though the bus arrived on time we had to walk outside of the shelter about 65 feet down the street to enter our last bus. While going back to Woodruff Avenue, the number two bus was quite crowded. After getting a nice greeting from the driver, we noticed a handful of people were standing up, and it got loud. This was due to an inebriated individual toward the back of the bus who slurred his way through his sentences the entire ride. When we got off our final bus, the stop at Woodruff Avenue and High Street was in very poor condition. The stop had two wooden benches which were also in poor condition that could only fit about two people on each. Overall our trip went well, we managed make it back by 5:11 PM after starting at 3:43 PM and travelling a total of 5.2 miles. 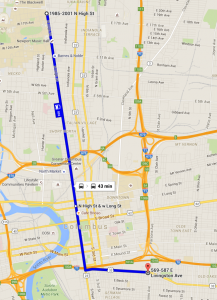 Initially the trip was easy to navigate using COTA’s website which was helpful. Most of the stops were fine. All of which had some seating except for one. All of the stops had shelters except our initial and final stops. Our only problems with these stops weren’t necessarily the stops themselves, but being bothered by other people at the stops. While we were on the buses, 3 of the 4 drivers were very kind. Half of the buses were quiet and had room for everyone to sit. We felt safe on the buses. 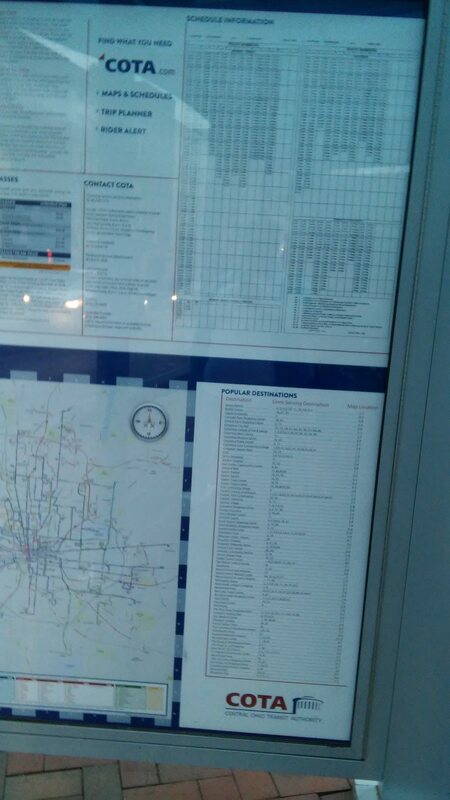 Each bus had the locations being called out as well as mini pamphlets with bus information in them. They also each had trash bags, hand sanitizers, and the heat was working. 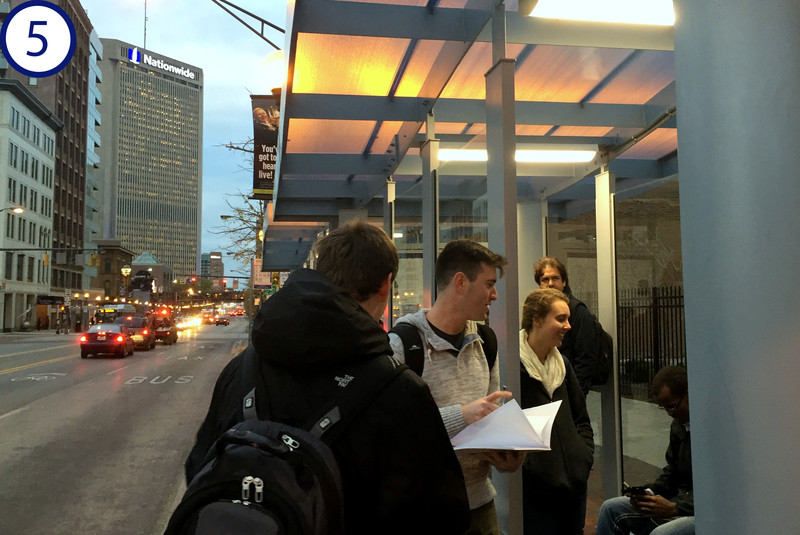 For the COTA transit audit, the Diamond Developers met at the southbound High and Woodruff bus stop to catch the number 2 bus towards downtown, with the goal being to reach the Panera Bread on East Broad Street in Bexley (5.4 miles). Upon arrival, the bus stop was clean and free of any trash or debris. There were two trashcans at the stop and a sign indicating the stop location and the lines that served the stopped. 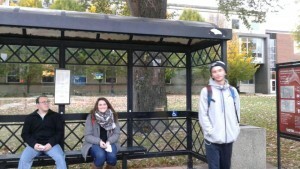 There was not a shelter however, which was something our group found odd as this is a very busy stop with student traffic as well as general everyday bus ridership. It was a cold and windy day so this was not exactly a pleasant start. 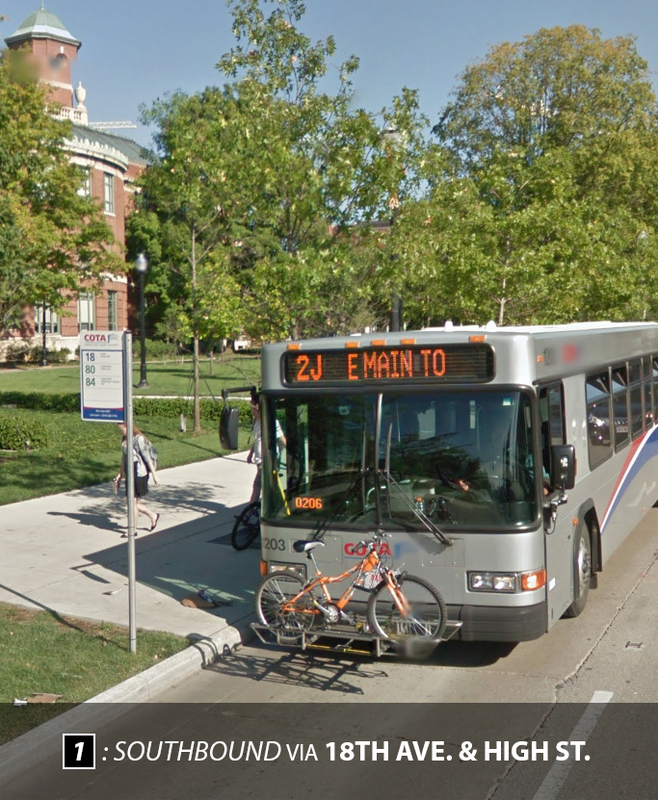 The 2A (East Main to Hamilton Road) had an arrival time of 3:59 pm. The actual arrival was 4:05, about 6 minutes late and not the best start. As the bus pulled up at the stop, it was easy to see it was already close to capacity as people were already standing. There were about 15 people that needed to get on at this stop, so as we all piled on, it became uncomfortably tight. Despite the overly tight conditions, the bus had minimal smell to it and was clean and free of trash. This was an older bus with fabric seats that were somewhat dirty, but that is expected with anything that is used so often. The speaker system was loud enough and the next stop announcements were audible throughout the bus, although we believe more speakers spread about the bus would help certain riders with hearing disabilities as the bus got loud at times with so many people on it. Overall this portion of the route was an okay experience. 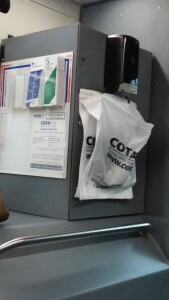 Being on-time is and has been an issue for COTA and this was our main concern with this part of our journey. 3-4: Our 10L route / 5: Final stop. Getting off at Broad and High Streets downtown, our team knew we needed to get to the southeast corner of the intersection in order to get on the eastbound #10. It took us just a couple of minutes to walk to our next stop which was a very visually pleasing stop. 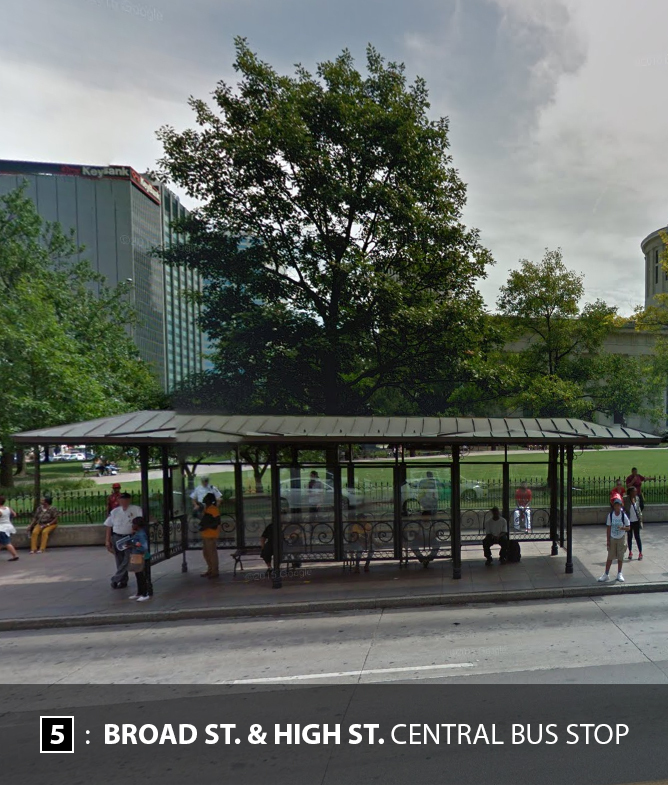 Being downtown and next to the statehouse, this stop was probably designed with more attention and care, and made for an interesting wait. 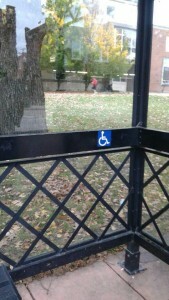 The shelter is large and had benches inside for sitting and waiting along with trash cans placed outside the shelter. The stop was pretty busy again with it being the middle of rush hour. The #10L we planned to get on was 3 minutes late which helped us in the end seeing as our first bus was also late. The bus arrived at the stop with only a handful of people on it, but quickly filled up at this busy stop. This bus was newer and had plastic seats which feel cleaner as they don’t collect everything from everyone who has sat in them. The bus overall was also clean and had minimal or no smell to it. Ashley Monachino, Chase Ridge, Sarah Cronin, Logan Fout, Alaina Parrish and Karina Okajima. Unfortunately, our group did not make it very far. 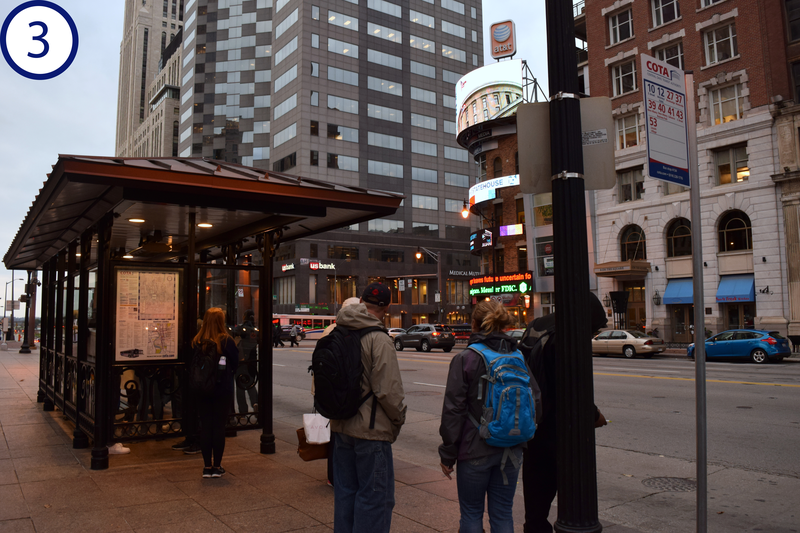 We got off just a few stops later at Broad and 5th because we knew we were pressed for time. From here we walked up to Gay and High and waited for a northbound #2 back to the campus area. This bus, labeled 2V, arrived at a stop that was somewhat dirty and had a trashcan that was overflowing. Unfortunately again, this bus was not much better than the stop. The bus had a strong and offensive smell to it almost like urine and seemed rather dirty. The bus was not too full and everyone had a seat this time except a couple of riders who chose to stand. 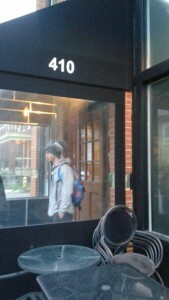 The conclusion of our journey got us back to campus right at the 5:14 mark, the end of class. Overall, this trip was an okay experience. The actual rides were not bad on the busses, with the exception of the dirty and smelly final ride. The main issues we saw as a group dealt with the stops themselves and the schedules and punctuality. All 3 of our busses were 2-6 mins late, which is unfortunate. Also, while we never waited “too long” for a bus, we realized that was during rush hour. This is the time of day when busses are most frequent. If we were doing this at 10pm or at another off time, things could have been very different. For a person that takes COTA everyday or most days and has to transfer, every bus being 2-6 mins late can throw off a whole schedule. One bus being 6 mins late can make a person miss a planned transfer. 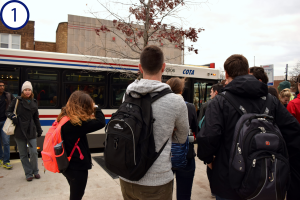 Another couple of issues we felt COTA needs to address immediately include bus capacities, real-time tracking, and labeling. With there being 3 routes that, when combined, consist of 50% of ridership, larger busses can most certainly be justified for those routes. 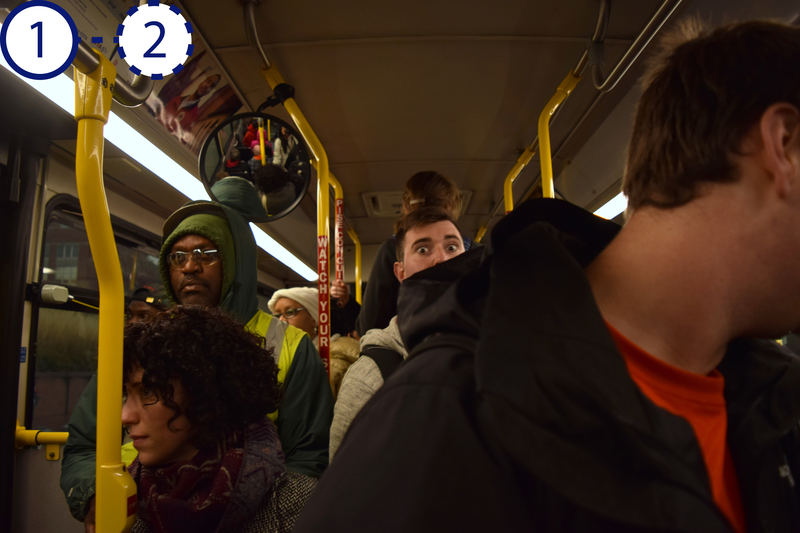 In the case of the #2 during rush hour, it was uncomfortably full. People were obviously anxious to get off the bus because they were being pushed around and crowded. Larger busses on certain routes would not only address capacity issues but would also promote more ridership. 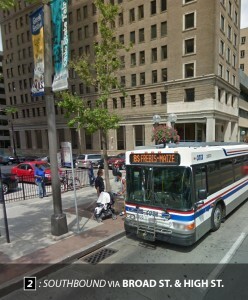 Many cities have been using articulated busses for years, why isn’t Columbus? In regards to real-time tracking, COTA is embarrassingly behind other major systems and cities. With real time tracking, people can easily check when their bus will actually arrive at the stop via smart phone and even LED signs at bus stops listing arrival times. This allows people to stay inside a little longer when it’s cold outside or maybe hurry up to make the bus they want to get on. It allows people to not be overly reliant on schedules and would increase ridership and bring COTA into the 21st century. One group member mentioned that there was a sign at a bus stop recently that proudly announced real-time tracking was “coming September 2013!”. It is now almost 2016. 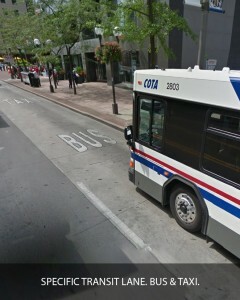 When it comes to labeling of busses, COTA makes it very confusing. Nearly everyone seems clueless on what the letters mean after the number (Ex. 2V). 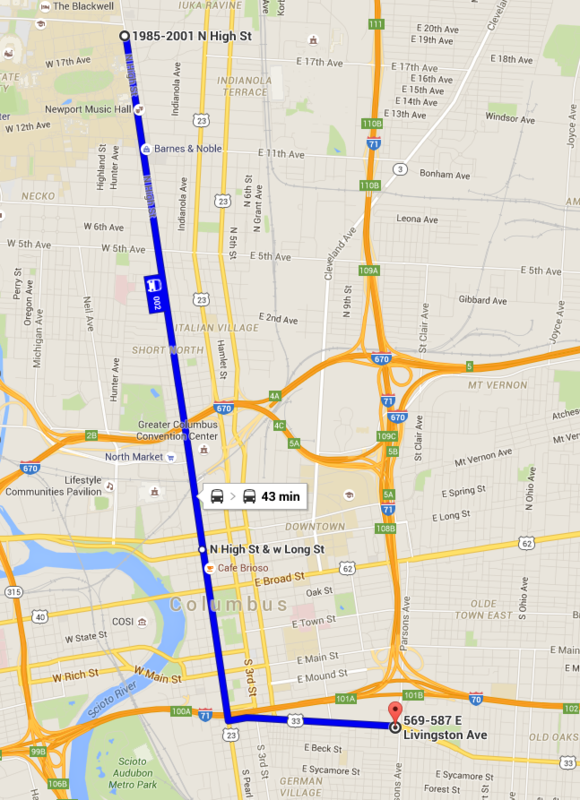 People will oftentimes ask drivers where the bus is headed and if it will make it to a certain location. 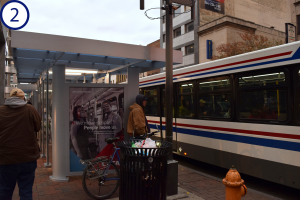 Visitors are helpless if they are unfamiliar with Columbus and people who don’t ride public transit are completely intimidated by the confusion. With the planned system redesign, COTA officials need to consider a new way to label and design routes so they’re not so confusing. The rides were not terrible, nor were they great, but COTA has a lot of work to do. With smart redesigns and implementation of common-sense technology and amenities, COTA can finally become a world-class transit system. 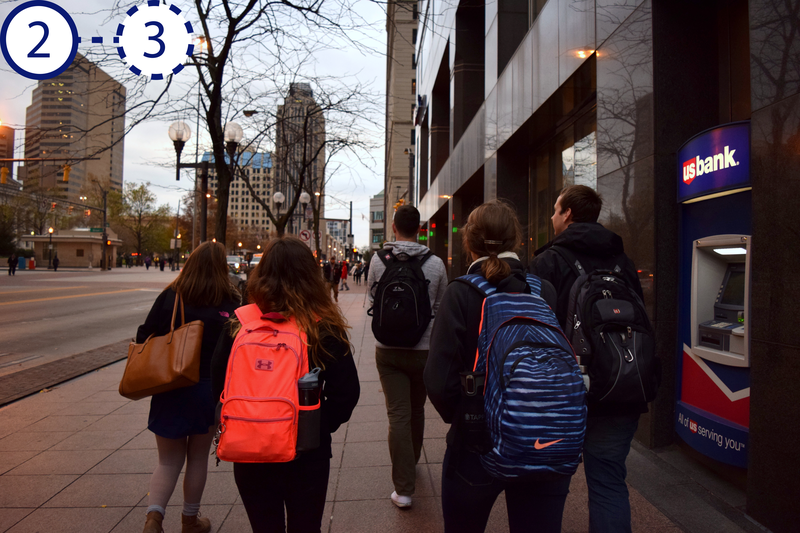 Our group, Planned Neighborhood, was scheduled to start our journey at the bus stop on 11th Avenue and High Street at 3:55pm. As most of us walked down High Street, a COTA bus passed us going southbound. Most of the group arrived at the stop around 3:53, and there was no bus to be found. We soon realized that the #2 line was running nearly 4 minutes early and that we had barely missed the 3:55 bus that we intended on taking. 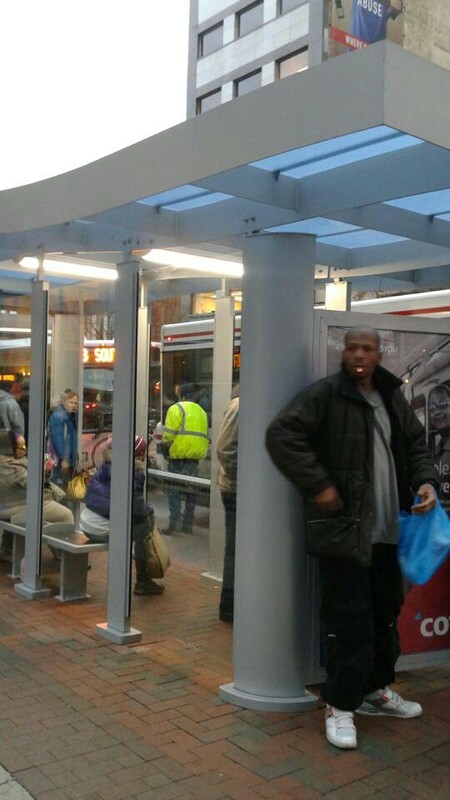 The stop was decently kept with benches, a shelter to protect from the elements, trashcans, disabled user seating, and schedules to update riders. The stop felt safe in the afternoon, however, would have minimal lighting for the evening time. The next bus that arrived showed up at 4:09 pm. This was six minutes later than was posted. At this point our trip has lasted for around 14 minutes and we had just gotten onto the bus. As we entered, the driver greeted us and was very polite. The bus was very crowded with barely any standing room in either the front or the back. There were passengers riding that were from many walks of life, varying in age, race, and perceived socioeconomic status. The sounds of the bus were those of private conversations, which gave an overall muffling sound. A lightboard at the front of the bus gave the date, time of day, and the name of the upcoming stop, which was accompanied by an automated audio recording. This feature made it very simple to recognize where we were along the route. The bus was crowded and loud, but well lit. The smell was moderately stale with the fragrance of sweat, food, or colognes and the seats had fabric coverings. Most riders looked tired as we descended downtown, probably due to long day of work. We rode the #2 line for a few stops, enjoying the city scenes and the company of its residents. The only time the bus remained at a scheduled stop for an unreasonable amount of time was when a disabled elderly woman with a walker took time to board the bus and pay fees, and then was unable to settle in the designated disability spot on the bus due to crowding. 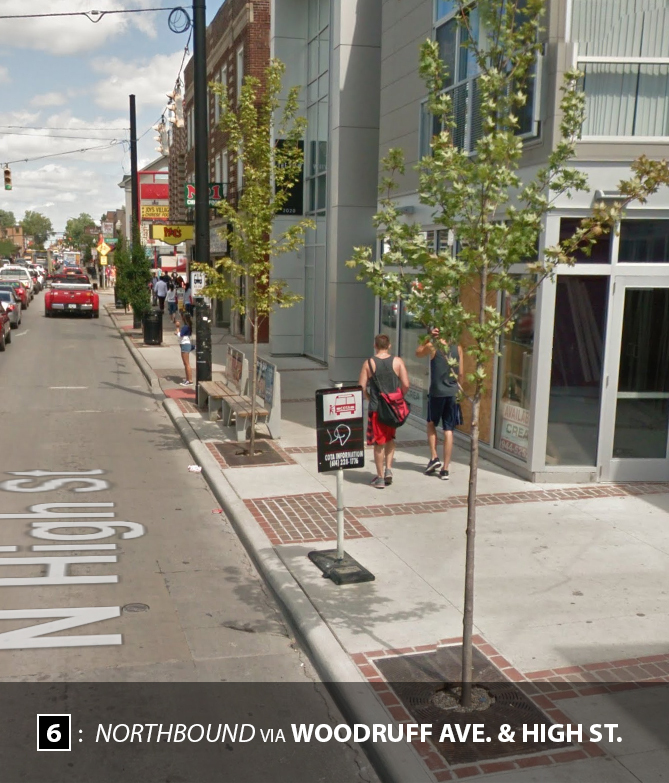 We exited the bus on the intersection of Broad and High St. The stop was well kept, much nicer than the original stop. There were plenty of covered benches to sit, trashcans, route schedules, and it was very well lit. We all felt very safe and were aware of our surroundings. The connecting #7 line came immediately after we stepped off of the #2 line bus. The #7 was much less crowded than the previous bus. This model of bus was slightly older but was kept very nice over time. The smell was not as stale as the other bus, probably because there were a few windows cracked. 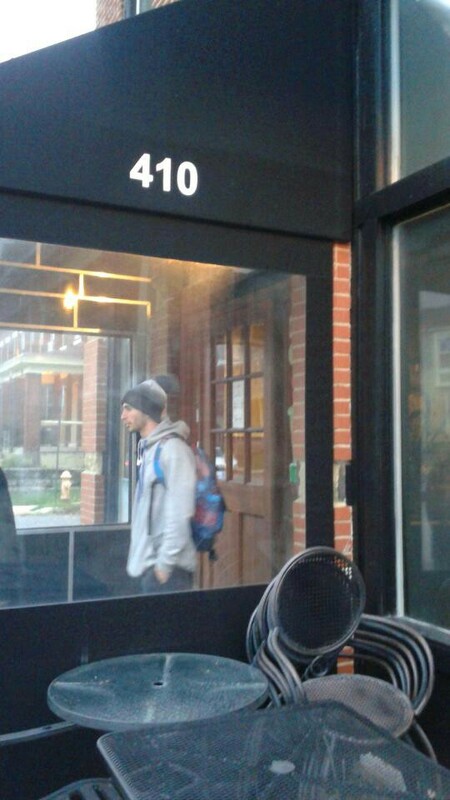 The driver was polite as we entered the front doors, asking us how our day had been and making casual conversation. The bus was moderately lit, which could make some passengers feel uneasy, as one side was irregularly dark during transit. Although there were fewer riders on this line, the vehicle was much louder due to the nature of the younger kids riding. We continued on our journey as we approached the outskirts of the German Village. We arrived at our destination within minutes; the Post Office near Whittier and Parsons Ave. Our Arrival time was approximately 4:52, indicating that the first leg of our trip took nearly 40-45 minutes. It was time to head home. We decided that the easiest route to take home would be to ride the #7 line all the way back to campus. The next bus would come at 5:03. The stop that connected us to the returning line was poor in quality. 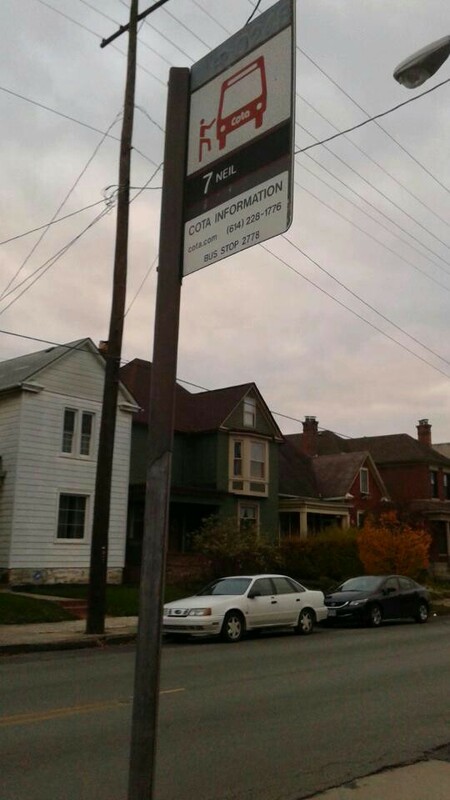 The stop was marked by a sign. It was a chilly evening and with the wind blowing we stood in the cold, as there was no covered shelter to sit under. Next to the stop, there was a brunch delicatessen with an awning in front of the front door, where members of our group took shelter from the wind, not boding well for the business’ appearance. At night this stop would be a little unsettling, especially for someone who wasn’t familiar with the area. Finally, the #7 line returning to campus arrived. It pulled in 4 minutes late leaving us with a departure time of 5:07. This bus was calm. Only a few additional riders were on the bus back. These riders were reading, listening to music, or just sitting quietly alone. The bus was one of the older models but, again, well kept. It didn’t have an overwhelming smell or sound, just the hum of the bus wheels turning. The driver greeted us politely as we entered, but you could tell that he was getting tired. We continued on our path back to campus. Passing stops here and there. 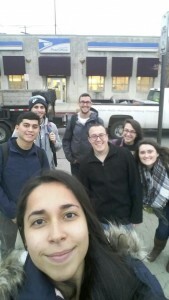 We eventually arrived back at the Ohio Union around 5:35pm. Nearly two hours had elapsed from when we departed, to when we finished. Overall, we were happy to see how easy it was to make it to our destination; we were unimpressed however by how long the routes took. The COTA is a great resource for Columbus residents. One who plans on using the transportation should always be early to ensure that they will make their bus, as schedules can be somewhat unreliable. Likewise, the COTA transit system is not an option for someone on a time crunch; had we been riders who depended on public transportation, we would have arrived significantly late to any event we had scheduled at the intended return time of 5:15pm. 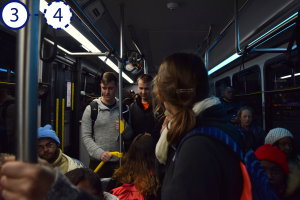 There was also a notable problem of crowding on the #2 line at the beginning of our journey, which made it difficult to board/find seating/get off the bus, especially for elderly or disabled riders. 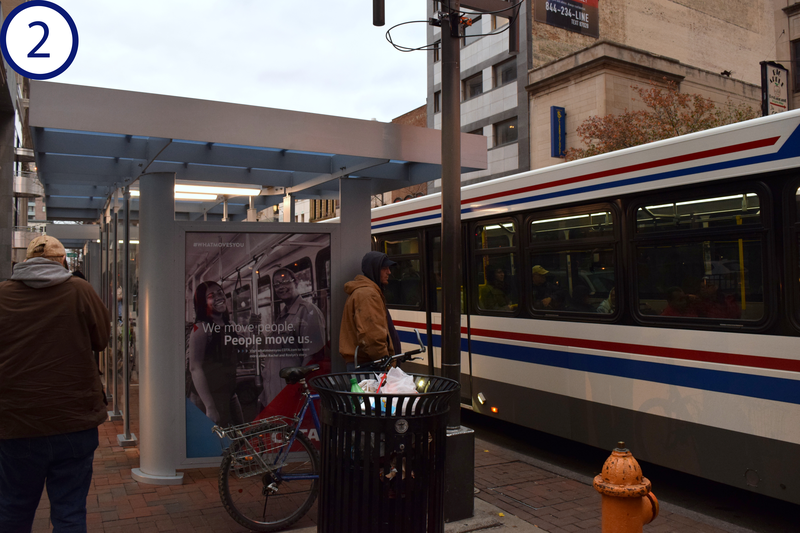 Overall, the COTA system is taking strides in city transportation but could use tweaking to make it more equitable and timely.